What is in store for your new year? 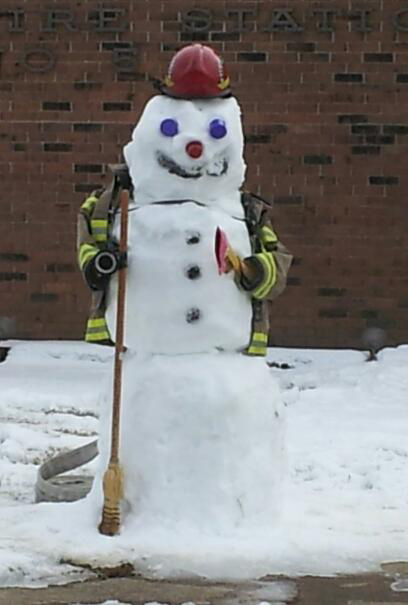 The calendar says February.Outside your window you see Frosty the snow man lingering by the light post. your New Year's resolutions or have you? I no longer make promises on New Year's Eve. I have not vowed to lose 45% of my body fat while lifting and attempting to memorize a leather bound volume of Jansen's "History of Art"! Instead, I began my year pouring, splattering and exercising my paint brushes; consequently, I have started this new year with a creative bang! Here is my first painting finished in 2015. How are you marketing your creative work? In this international age of communication there are three things every artist doing business needs to learn about. If you do not have a web site with which to promote your art...get one! Creating a web site is not as difficult as some folks would have you believe. There are many sites that can help you achieve a web site presence, even if you do not have a lot of web design skills .Here are a few links to help you get started. A free website builder called Wix is now available and comes recommended to me from some of my artist friends. ArtSpan is a web space specifically designed with artist's in mind. 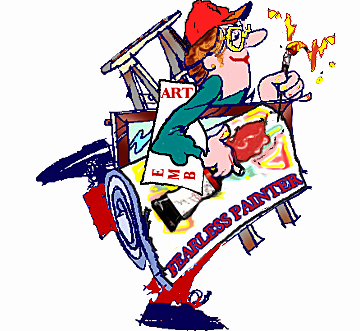 FineArtAmerica is a third example of a web designing program. Both Art Span and Fine Art America are designed to help creative people with web design and web hosting space. 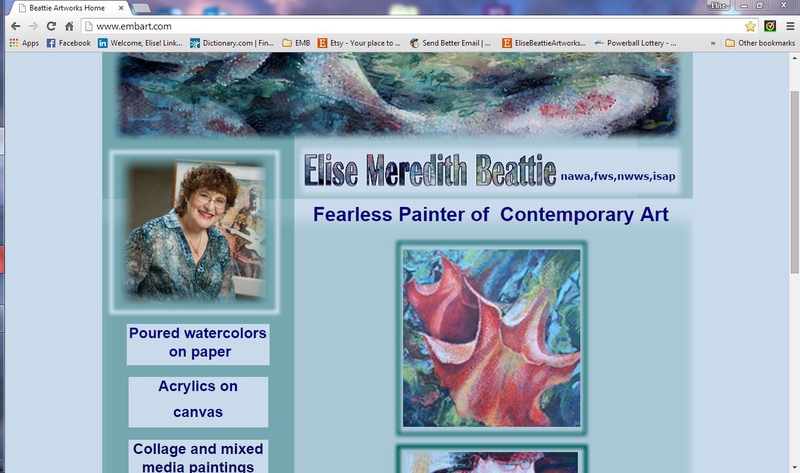 Are you wondering what I use for the designing and upkeep of my web site BeattieArtworks. I use an affordable program called Serif WebPlusX. Many years ago I had the opportunity to study web design in college, although I do not have a lot of web design knowledge, I have acquired a modest set of skills that allow me to maintain my own web presence.The WebPlus X8 program, depending upon your skills, has a range of styles from easy to use pre-designed templates or you can have total control of your web page with the manual settings available. A good program costing approximately $119.00 US. Are you an artist or teacher with something to say? Would you like to write / advertise your special techniques? 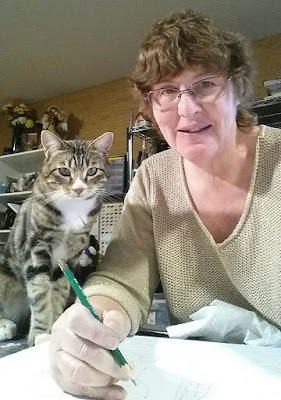 Then start an art blog and share your creative message. There are two sites that work well. One is WordPress, where you have the option of both creating a blog and or a website package.I use the Google sponsored site known as Blogger. It is easy to use and allows me the opportunity to be able to share my thoughts with you. 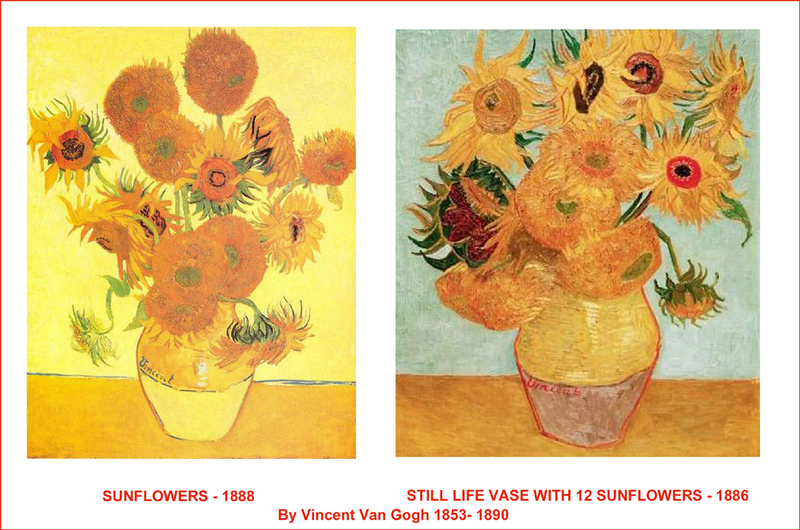 Are you ready to bring your paintings out of the closet? 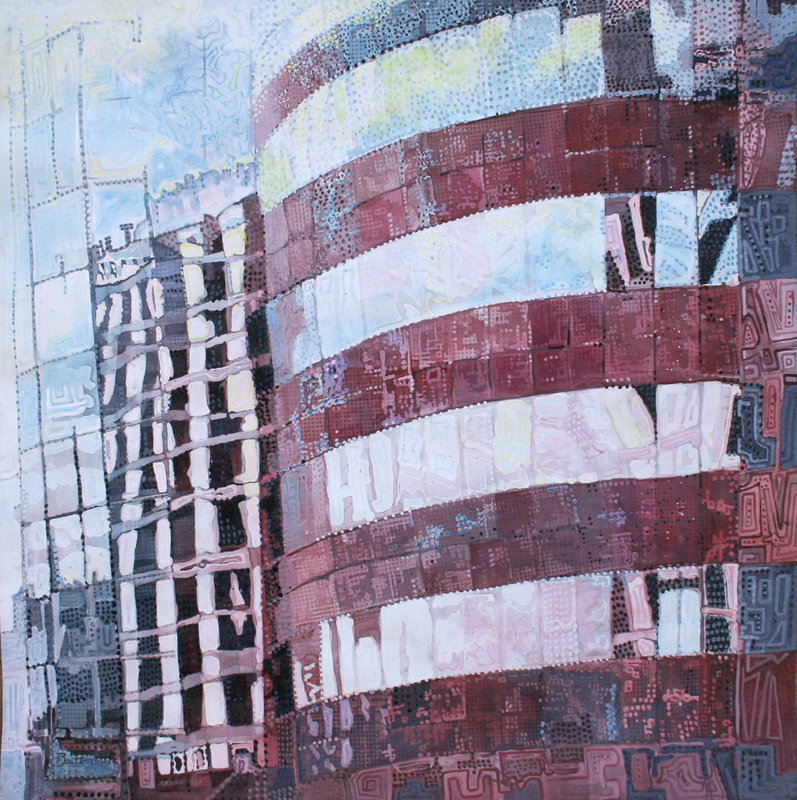 Then consider exhibiting your art in local, regional or national spaces. Restaurants & offices need decorations and are good places to start exhibiting your two dimensional work in. 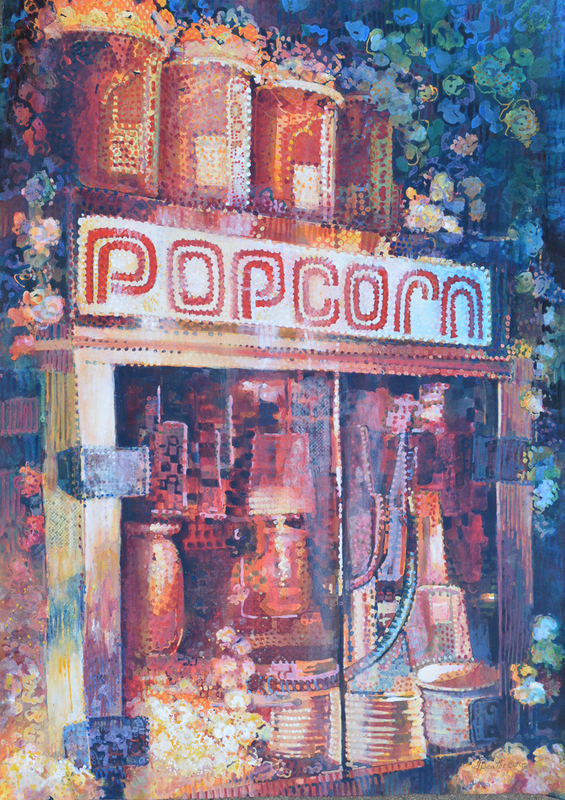 Many years ago, I sold the painting shown here at a little restaurant in Everson, WA! 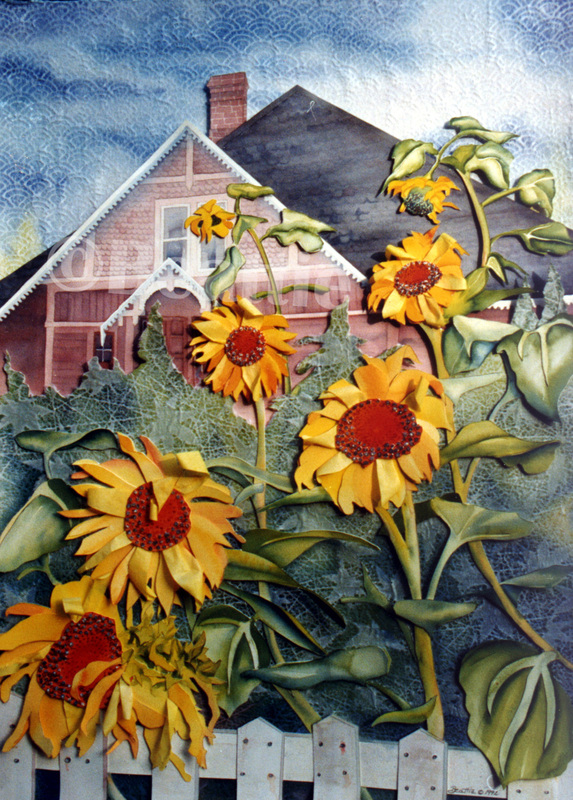 "House of Sunflowers" 30 x 22 watercolors & collage on paper (sold). The best way to approach these businesses is to make an appointment with the manager of the space and with your portfolio in hand, ask the big question: MAY I HANG THESE PAINTINGS? If your artwork looks professional and properly framed, the chances are good you will be allowed to display and sell your art at these venues. Be ready to help out by hanging your own work and make sure that you display along side your paintings a name card that shows the artwork title, price if work is for sale, your name and full contact information. Consider entering a juried art show...There are a lot of art opportunities to display your work, and build your reputation as a professional. 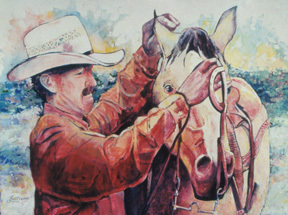 Entering shows is not difficult, especially now that it is all done on line. 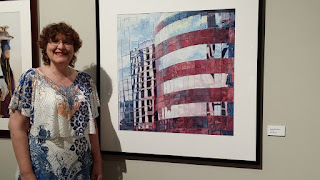 I have had great success in entering exhibitions, in fact today I just got the good news that my painting "Nashville Glass" (shown here) has been accepted into the Southern Watercolor Society's 38th annual Regional Juried Exhibition. Why not give it a try? You can't win the prize if you don't enter! poured watercolors and acrylics on paper. "Professional Artist"Magazine. 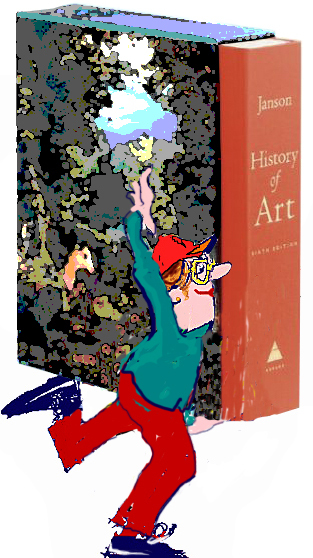 I highly recommend ordering a subscription to this informative collection of everything you want to know concerning art & business information.